Mulberry has embraced a more grown-up aesthetic in its accessories department this season, in the form of new family addition Willow – a tote bag that features a detachable clutch on its front. The label’s move to eschew their popular slouchy satchel styles for a more ladylike tote reflects a change in customer demand. 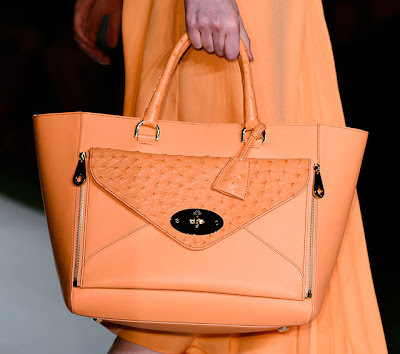 The bag was first unveiled in Mulberry’s spring/summer 2013 show in September and has since been worn by a host of stars. The Willow collection – which also features an envelope style – was named after the brand’s second factory, The Willows, which will open later this year in Somerset. The Willow collection will hit 26 selected Mulberry stores worldwide from 11th of February 2013. 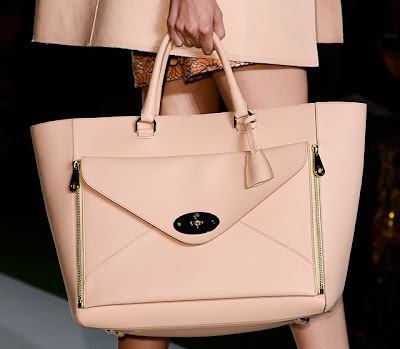 In the UK Mulberry Willow bag will be exclusive for 3 stores: New Bond street flagship shop, Selfridges and Harrods. It will not be available online! !